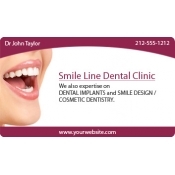 Healthcare business card magnets are perfect for healthcare providers who wish to remain close to their clients and patients in an effective way. 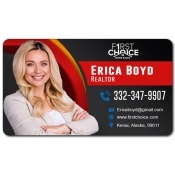 These promotional business card magnets easily find footage over fridge doors or other visible surfaces because health is always a priority. 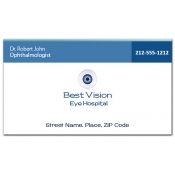 Healthcare services can easily show their caring side to the public through these promotional magnets even though they are promoting clinic, healthcare facility, pharmacy, optometry practice or a blood bank. Running a healthcare business is always challenging due to trust factor and high costs of marketing involved. Healthcare marketers have to work double hard to push their sales and improve their visibility. Although today promotional gifts have become one of the important marketing tool in healthcare niche, still businesses are relying on basic traditional strategies to promote their visibility. You will find them handing out brochures, business cards, calendars and other paper materials during mass events. Although they are well aware of the perishable and nonchalant nature of these promotional materials, they still have to do it since there is no other choice. 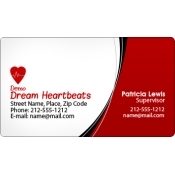 However, magnetic business cards allow them to save on efforts and create alasting impact. It is largely seen that people usually throw away or stash promotional healthcare materials in the drawer. Under distress, they may reach out to the next available option. They do not have time to search for your contact details because life never waits for anyone. Today with mobile applications and websites, they may use them to search for details which in return gives them available options instantly. Again, internet marketing is not a one-day affair and people may miss finding particular healthcare business information on the first page. With the busy life and hectic schedules nobody has the patience to sit and wait. 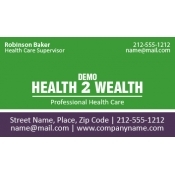 By investing in full color personalized magnets, healthcare marketers are actually combining a brilliant promotional gift and handy promotional item. 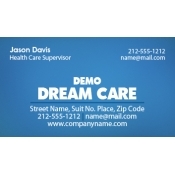 Full color promotional magnets are always retained as a reference or refrigerator art in most homes. Do you know that75% of refrigerator magnets are found in homes around the US? We offer free art setup, free online design proof, free full-color printing and free shipping on all orders. To know about wholesale pricing benefits and other details about these healthcare magnets, feel free to contact us at 855-762-4638 or write to us at info@cmagnets.com.